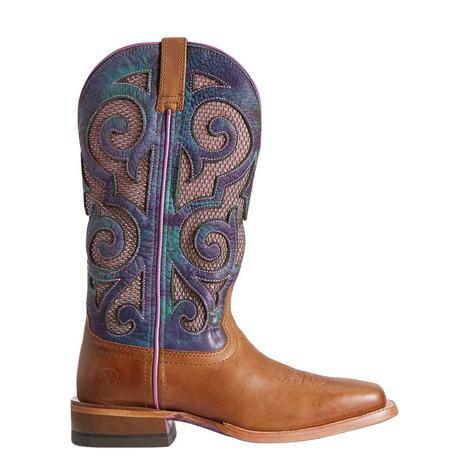 These Gemma Brown Short Justin Gypsy boots are a must have item this season! 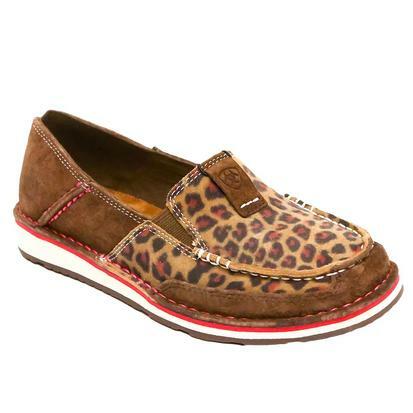 They have the modern take on the classic style that your sure to fall in love with! 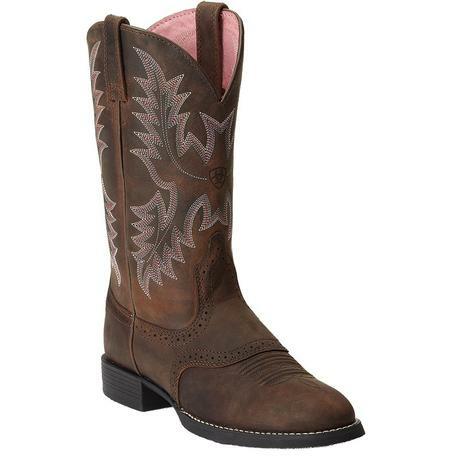 They are a distressed chocolate brown leather exterior that gives you a live-in look from day one. 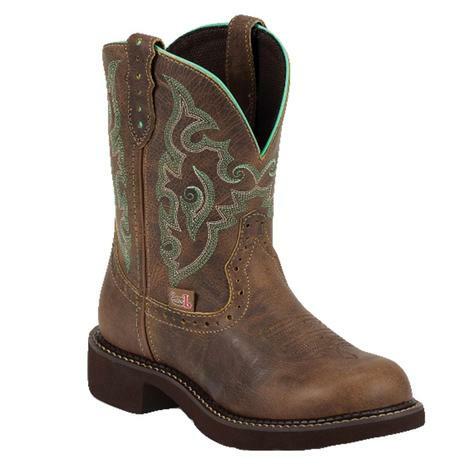 They feature a sea green stitch pattern and match seam along the collar that gives this boot a bold new look. 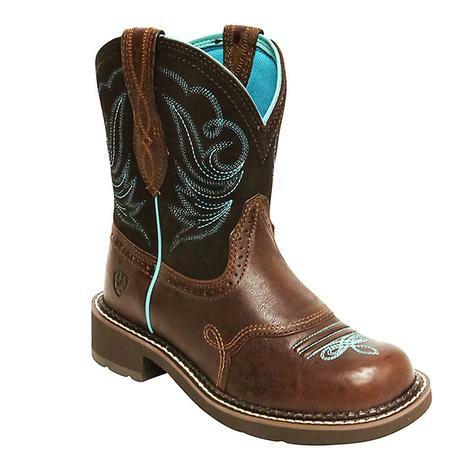 Wear these boots all day with the J-Flex Flexible Comfort System, designed for cowgirls on the go! 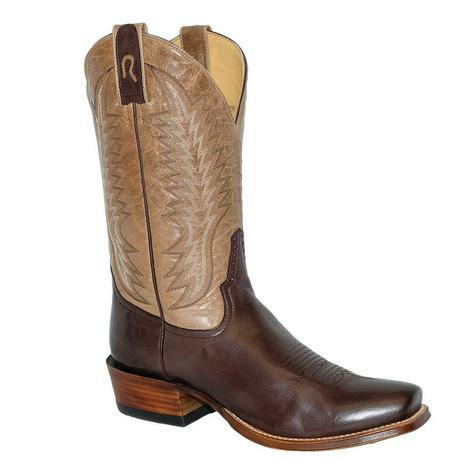 The classic boots by Ron Patrick are a pair that you're going to be ready to step out on the town in. 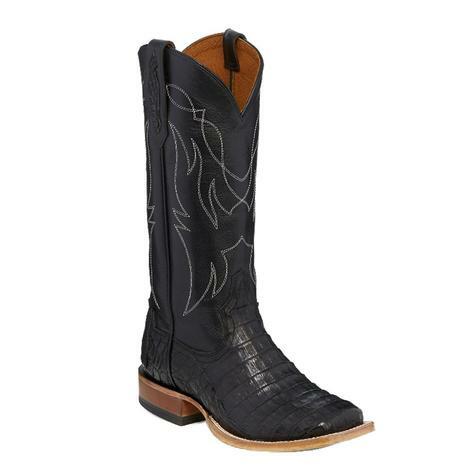 The beautiful Black Caiman vamp is the perfect style to give you a look that will turn heads! A cowgirl can never have enough pairs of boots, and these booties are going to be a pair your needing to add to your collection! They feature a Python designed vamp for a unique style. These adorable shorties match perfect with a pair of distressed jeans or a fun skirt! 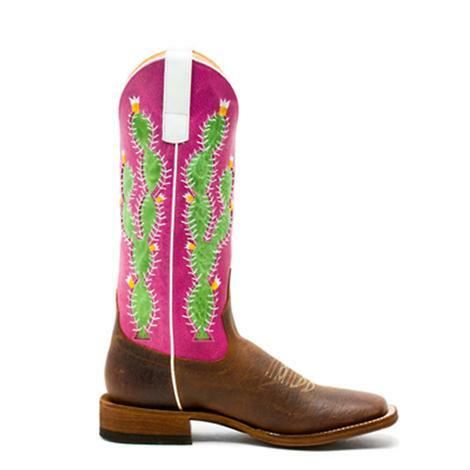 Support your Texas traditional bootmaking with these boots by Anderson Bean. 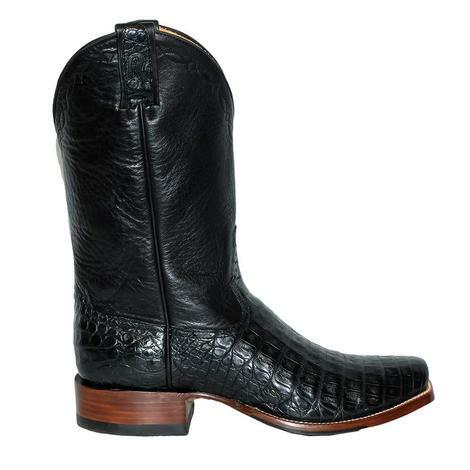 Featuring a black Bison vamp that is a full-grain leather is both soft and supple. 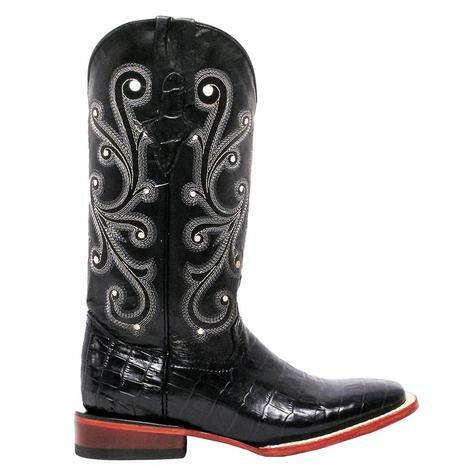 These boots feel like they have already been broken in for you and can take a beating but cleans up and shines easily. When you're in a pair of Anderson Bean boots you know that you have Texas on your side, or feet! 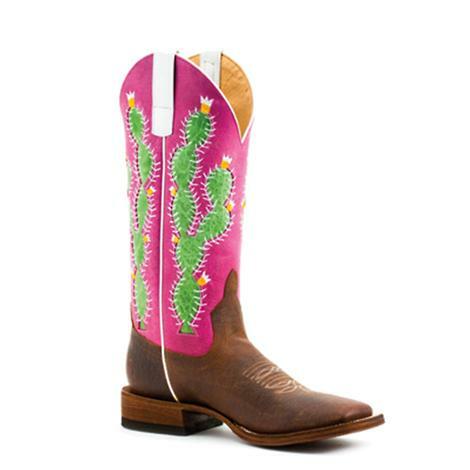 They have the best-quality boots that cannot be produced by machines, these boots will last you a life time because they are made by hand with the value and tradition of Texas bootmaking. 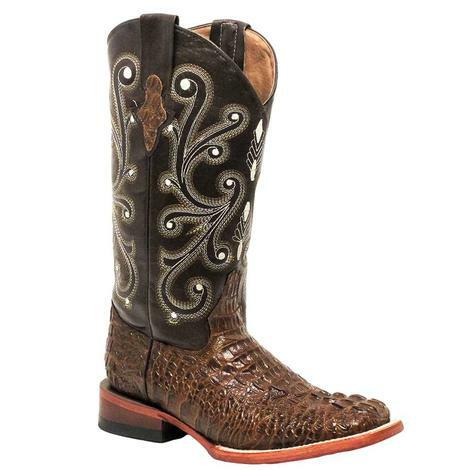 These boots by Tony lama have an 11 inch brown coral shaft with intricate stitching throughout. 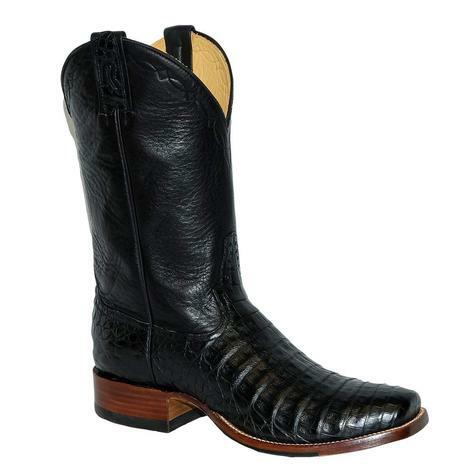 The vamp is made from a beautiful black Caiman belly and the boot sits atop a western walking heel. 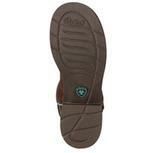 The insoles are cushioned for all day wear. 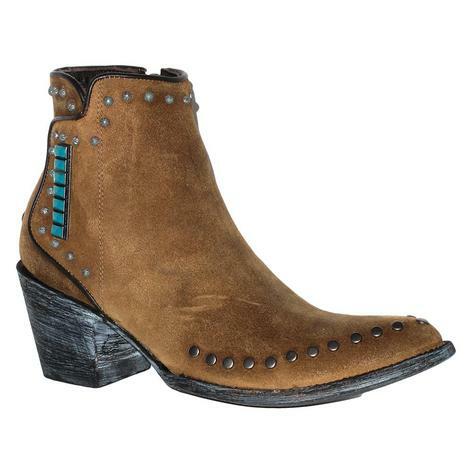 This handmade short bootie by Double D has classic stud detailing and a beautiful suede finish on the leather. The inside zipper makes for easy on and off. Sits atop a 2.5 inch Santina heel on a 6" shaft. 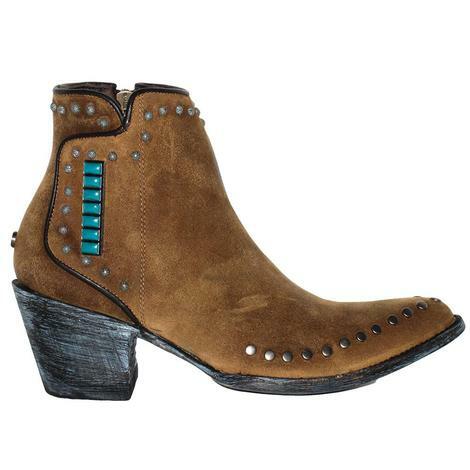 Turquoise and concho detailing. 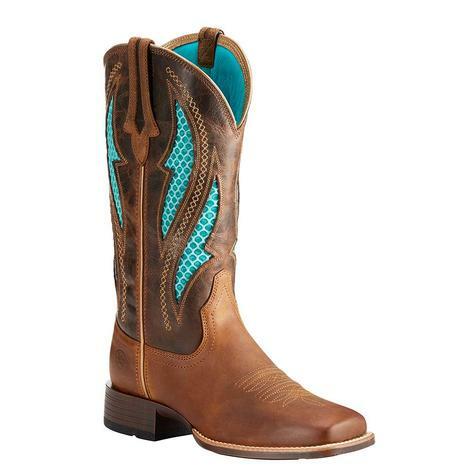 This boot by Ariat comes equipped with a VentTEK shaft that combines full grain leather with turquoise cooling mesh panels for maximum comfort in the heat of the day. 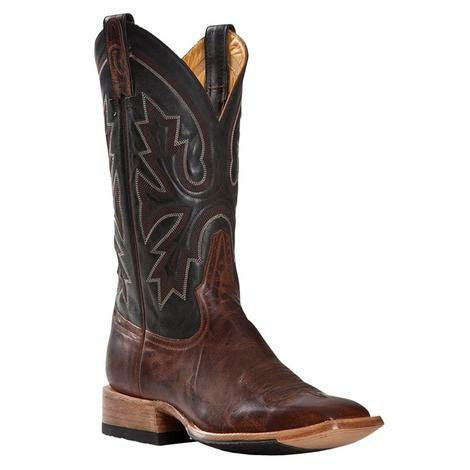 The boots also offers Ariat's exclusive ATS PRO technology that support and cushion you as you move, promoting good posture and reducing fatigue. Add these to your collection today! 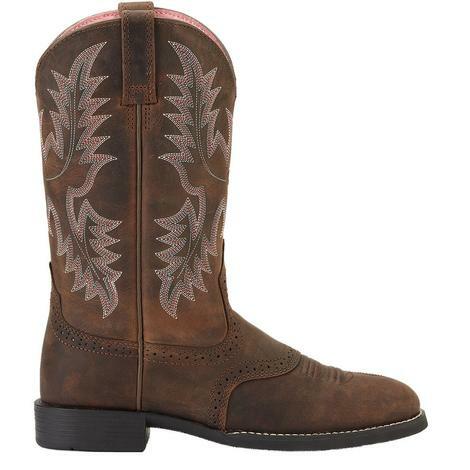 Ariat Women's Heritage Stockman Driftwood Brown Boots are surly and sweet all at the same time. 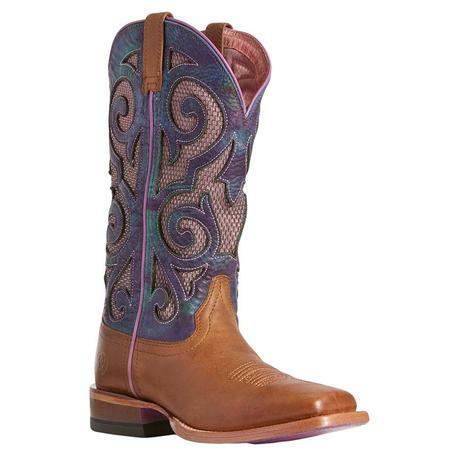 Just pull on a pair of these great Ariat boots for you gals and feel the luxury. Get yours today! 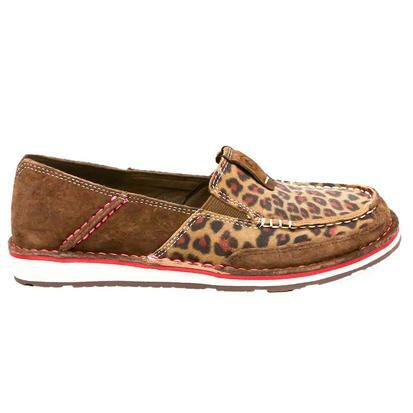 This Ariat women's slip-on cruiser has a fun print fabric upper with an EVA midsole and Duratread outsole. 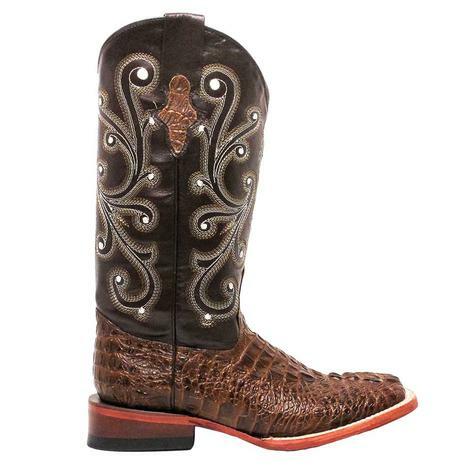 These boots by Ferrini have a 12 inch shaft with a Caiman gator print leather vamp. 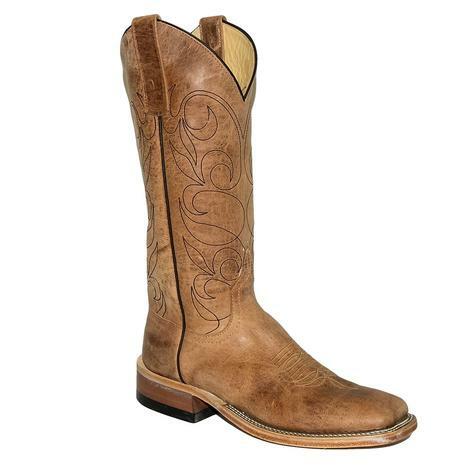 The boots have a square toe and a leather outsole for extra durability. 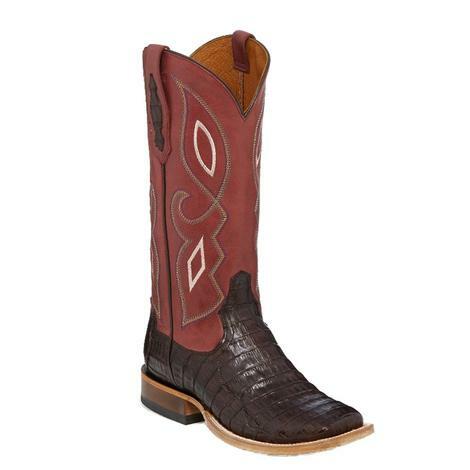 Rod Patrick Mad Dog Rust boots offer comfort and style in a rusty red vamp of calf with 11" dark goatskin tops. Shaft stitching and square toes on a leather sole. 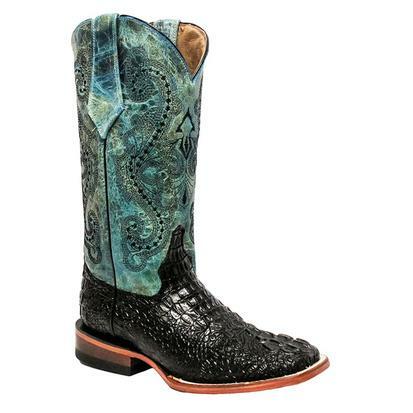 The Ferrini Women's Brown and Teal Crocodile Belly printed boots are chocked full of character and snap. 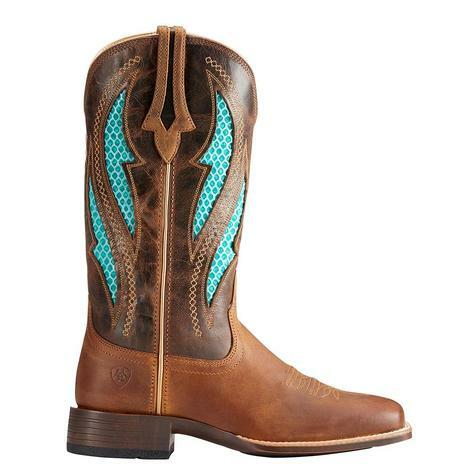 Each pair is constructed with a beautiful teal accented shaft with detailed stitching on all four quarters of the boot. 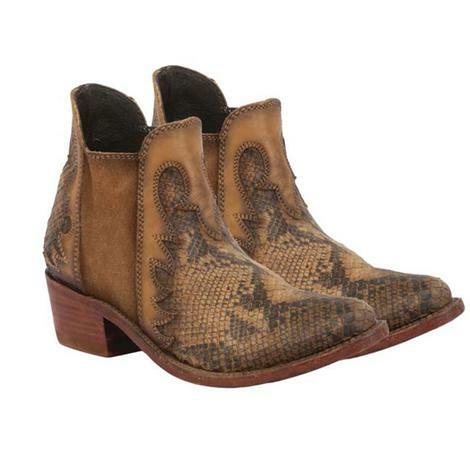 Crocodile printed vamps have excellent texture to the touch and visibly stun onlookers. 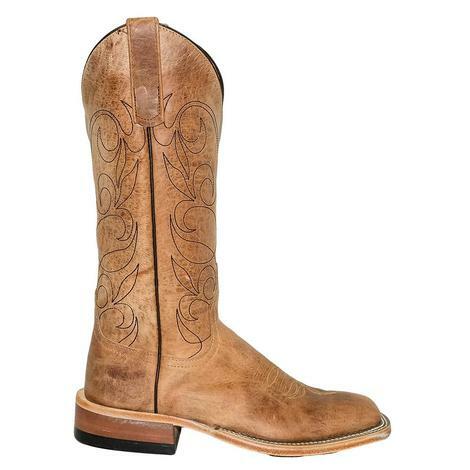 Ferrini constructs with leather soles, square toe, roper heel, and double stitch welt. What a great staple item to pair with your dressy jeans. 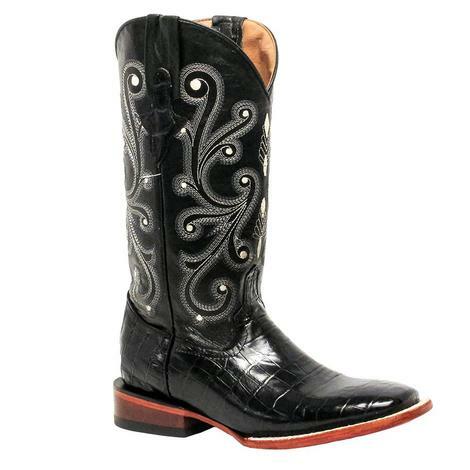 These Ferrnini black Alligator belly print women's boots are elegantly constructed with a pristine finish and firm foundation of roper heel, leather sole, and 12" shafts with intricately stitched design. 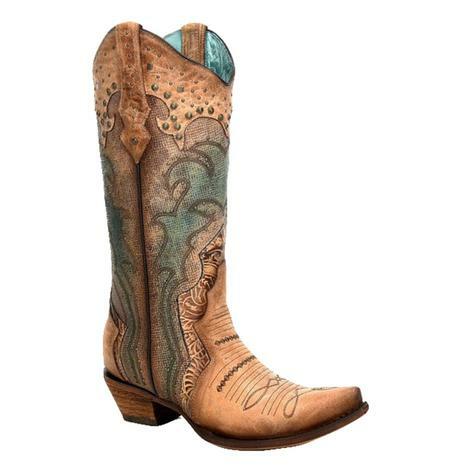 These boots by Rod Patrick are a cowboy's dream! 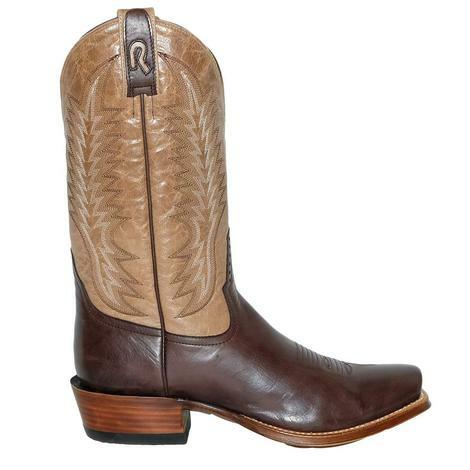 They feature a classic chocolate Cayuse vamp for a traditional wester look. 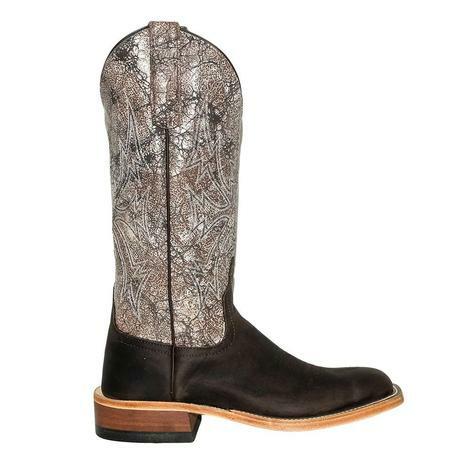 Feature a comfortable 11" shaft and a Horsemen #4 heel. Go out with your favorite people or out on you're favorite horse, your going to look sharp whatever you're doing. 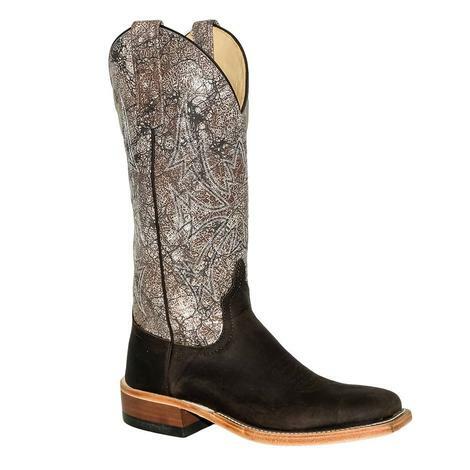 If you're looking for a boot that has it all this boot doesn't have any detail missing! 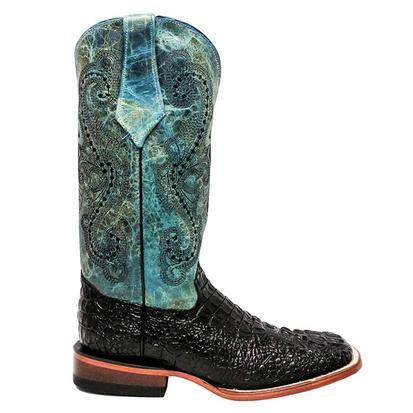 This boot by Corral features a sleek snip toe, antiqued saddle finish, bold stitch pattern, tooled leather overlays, textured shaft with turquoise accents, shaft collar overlay with stud accents, leather sole, and a cowgirl heel.